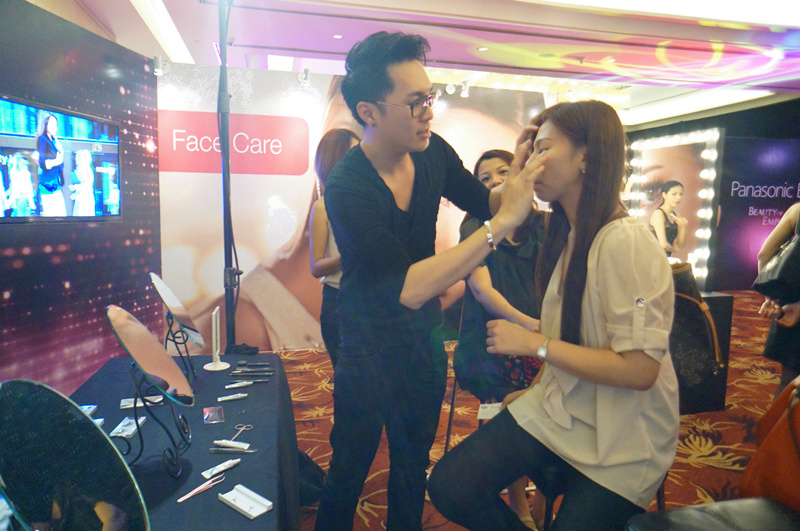 On this Tuesday, I was invited to the Panasonic Beauty Care Products Launch at Ruby Ballroom, One World Hotel. 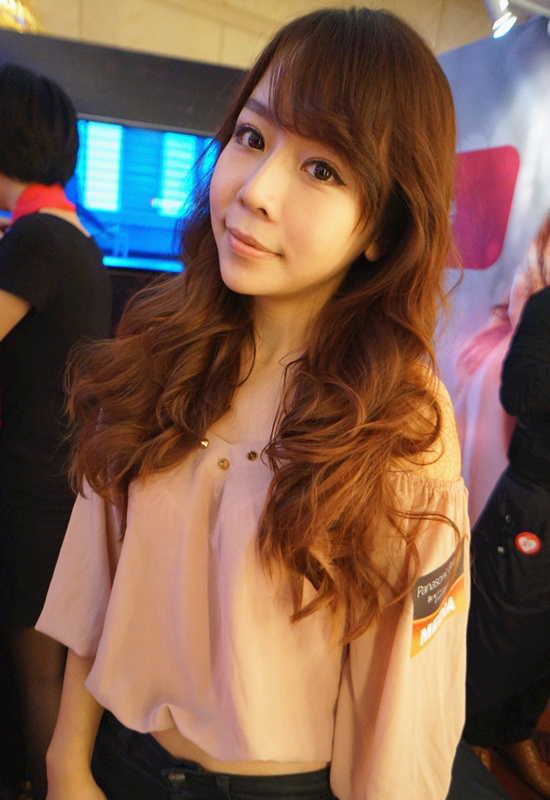 Thanks to BlupBlup and Panasonic Malaysia, I've got chance to try on their new products personally! 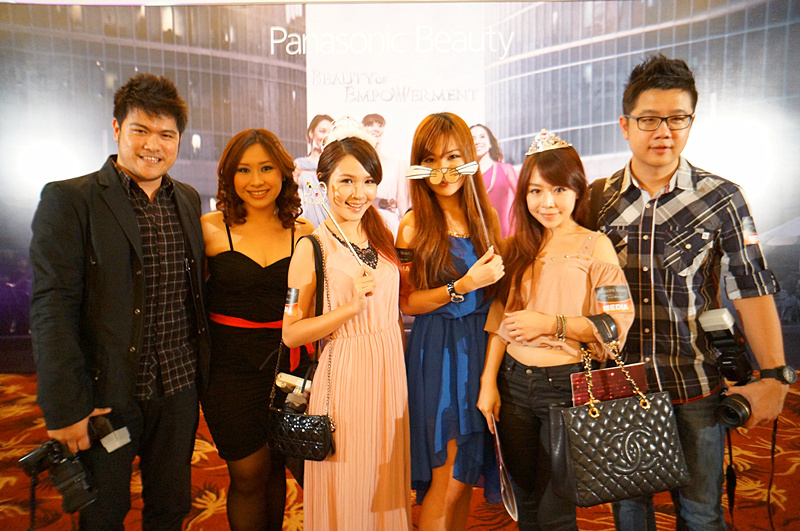 Panasonic Malaysia has launched their latest series of innovative Beauty products for Malaysia women. Panasonic Beauty products are designed and developed to meet the aspirations of women, as well as the modern lifestyles. Tell me who doesn't love beauty? When it comes to beauty, it has to be something that would delight our days at the same time enhance our beauty. I reckon Panasonic has achieved both of the requirements. Trust me! The new products are very interesting and I am sure every girl would fall in love with it! We kind of played with the props and took picture before entering event hall. Haha! 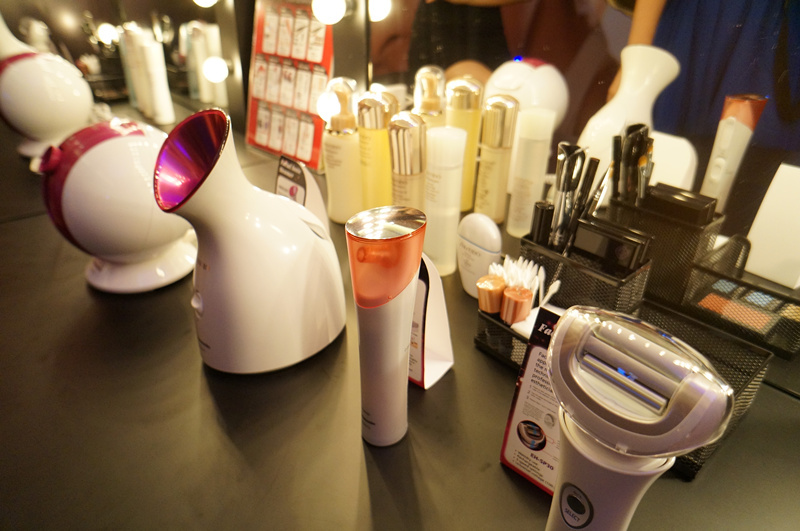 Once we entered, there were Panasonic Beauty products showing and all products are in pink! Which would probably made those pink lovers gone crazy. lol! Anyone has idea of what it is? Yes it's written in the picture, it's Pocket Doltz Toothbrush EW-DS11. It's sonic vibration toothbrush with 16,000 brush strokes/min, dual-edged and easily reachable structured brush. Facial Roller EH-SP30N, Pore Cleanser EH-2513P, Facial Ionic Steamer EH-SA31VP, Facial-Hair Ionizer EH-SA42P. Facial Roller replaces the rhythmic hand massage techniques of professional estheticians. Pore cleanser is a deep and effective cleaning through simple-to-use suction. Facial Ionic Steamer consists of nan0-sized ionic steam particles moisturize and cleanse skin deeply. This is the products I wanted the most! It's so simple and easy, save all the facial costs! 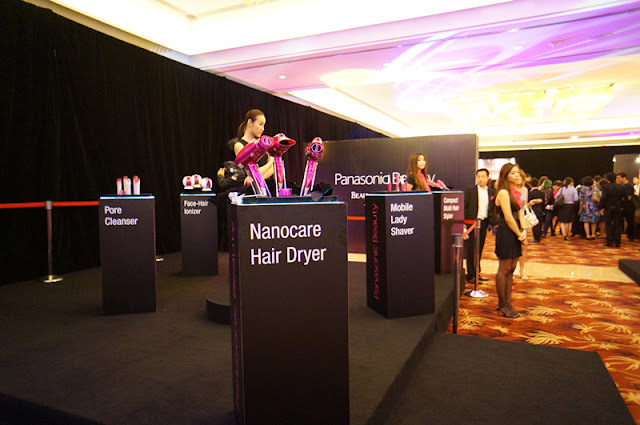 Facial-Hair Ionizer which is the last one, emits nanoe™ that helps you to attain smoother skin and shinier hair. Amazing right? I guess many of you do not familiar with nanoe™ particles inside the beauty products that I mentioned right? Nanoe™ is more effective in bacteria and odor removal as compared to normal ions. The anti-virus capability of nanoe™ is supplemented with its long-lasting moisture capability, which retains moisture longer to increase the effectiveness of the electronic products. With all these technologically advanced Panasonic Beauty products, women save a lot of time and able to enjoy a home spa experience at the same time! See, it's so easy to maintain your beauty! Panasonic Malaysia is treating every girls like a princess, they had the self-pampering sessions from hair care, face care, body care to oral care while we were discovering the products. 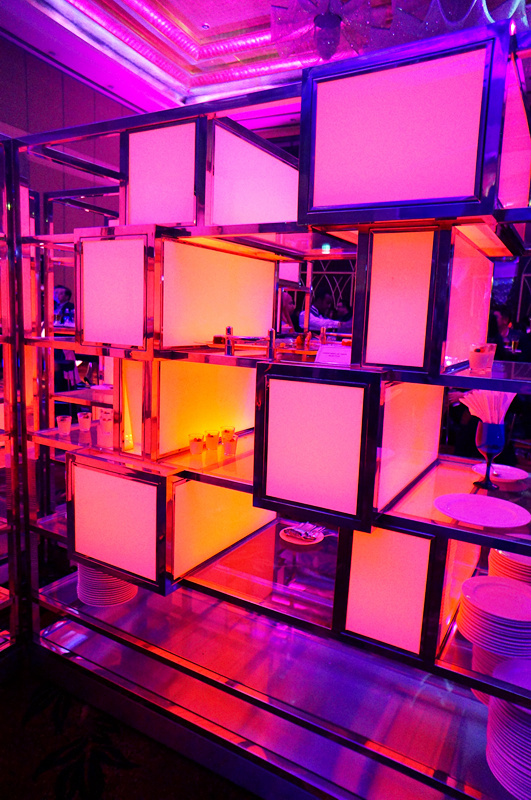 They wanted their invited guests to experience how amazing their products would turn them to be. How sweet they were! For body care, professional nail care. 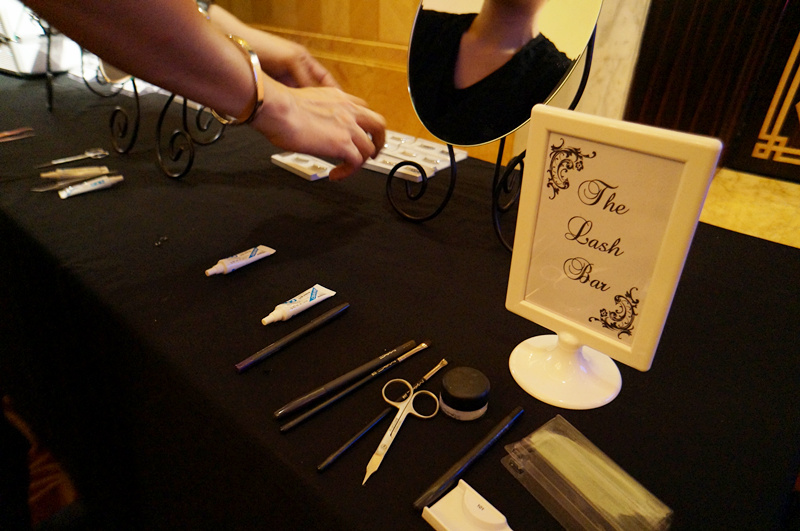 They have complimentary eyelash service for face care. Povy is getting her hair done in hair care corner. And Karen and I are waiting waiting for our turn! My turn! Let me show you my before picture first! Do I look like a Kpop singer? lol! *shameless* Ahahaha! Okok back to the topic, so we had our dinner prepared by Panasonic Malaysia after that. Proceeded to the Ruby Ballroom for the event. 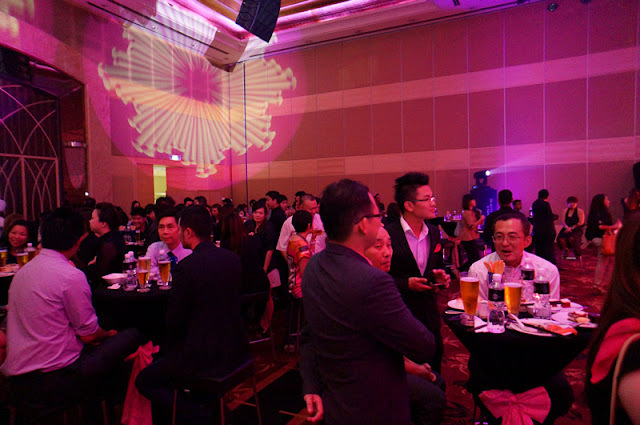 Speeches were given by Mr Hiro Suga, Managing director of Panasonic Consumer Marketing Asia Pacific and Mr Jeff Lee who was the Managing director of Panasonic Malaysia to deliver the message of Panasonic to the guests. "In Asian markets such as Malaysia, Thailand, Vietnam, Indonesia, and Singapore, more and more independent women are carving out their own success. We hope Panasonic Beauty products can become central to their beauty, grooming and wellness needs, factoring their busy lifestyles." "Panasonic is constantly coming out with innovative ideas and developing technologically advanced products. For Panasonic Beauty products, we researched extensively on the different types of women's hair, skin, lifestyles and perception towards beauty. Panasonic Beauty products have a dominant market share in the Japanese market today. We aim to extend this reach to Malaysian women consumers, then to the rest of the world." 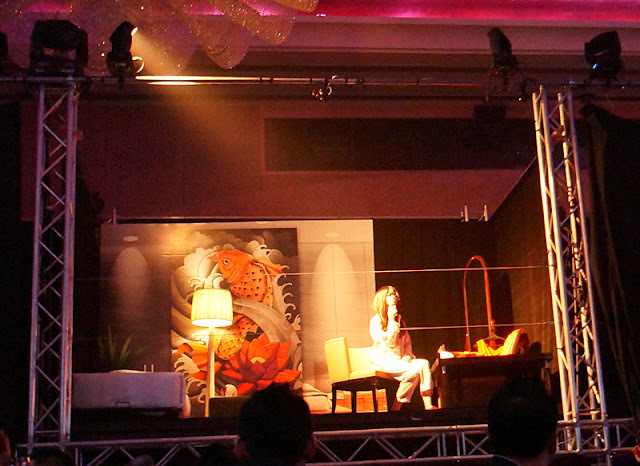 Followed by fashion show prepared by Panasonic Malaysia dedicated to the guests. Seriously my eyes can't stop staring at those models with their products. Panasonic has chosen four beautiful and successful regional icons to be the brand ambassadors to represent Panasonic brand in each local market. These women embody the aspirations, strengths, and achievements of the active and busy woman. They are Marion Caunter, Channel V International TV Host, representing Malaysia and Singapore, Atiqah Hasiholan who is an actress representing Indonesia, Urassaya Sperbund (Yaya), a Thai-Norwegian actress representing Thailand and Duong Truong Thien Ly, Miss Universe Vietnam 2008 representing Vietnam. She is our ambassador, Marion Caunter. Whole-pink dress exactly suits the theme of Panasonic Beauty! I've got to say Panasonic really got me, they even prepared a beauty skit for the guests! Lastly, a group picture of us!